You know that moment when you’re decorating and, finally, you have everything just so? As a mom of two small children, I am never alone. Not when I cook. Not when I sleep. Not when I pee. 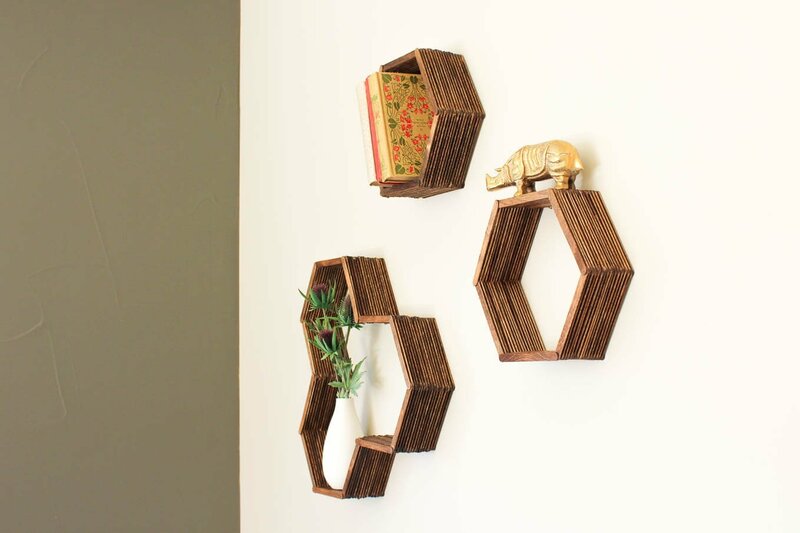 And most certainly, not when I photograph honeycomb shelves. I find the constantness of motherhood to be one of the hardest parts. But on the hard days when I just want to run away to Target and pee next to strangers instead of my family, I remind myself that being a mom also means that I always have a very eager, hands-on photography assistant at the ready. What an awesome project – these look amazing! These look really cool! The only thing is that when I try to get access to the template, it directs me to another image. Is there any other way to access it? Ahhhh, boooo! I’m so sorry, Kate. Thanks for pointing that out to me. I’ve encountered that tech glitch before. It should be working for you now. Just enter your email in the subscribe box at the bottom of the post. You’ll get an email asking you to confirm your subscription and as soon as you do that, you’ll get another email with all The Vault access info. If you have any trouble at all, please let me know. I’m sorry about the inconvenience. I never want technology to stand in the way of crafting! 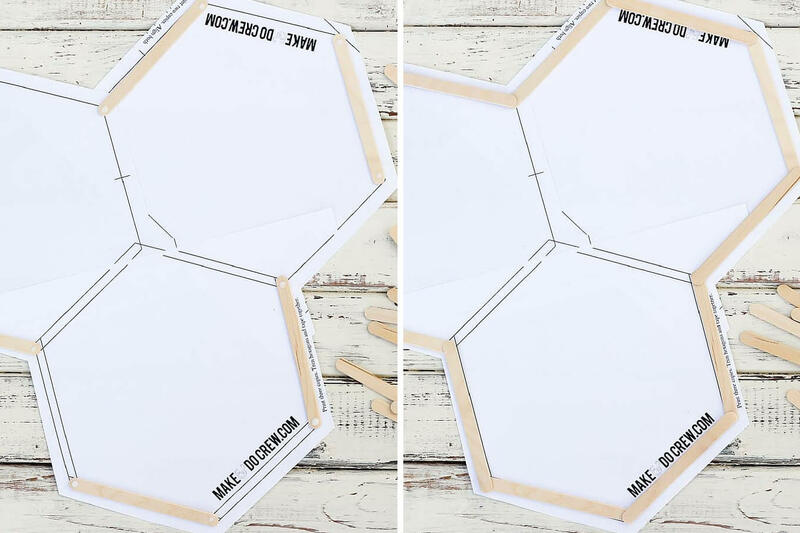 Will you send a full size template of both hex selves.I have tried 20+ times to print them???? I’m so sorry you haven’t been able to print them. Did you subscribe and gain access to the password protected area? If you let me know where you’re getting hung up, I’d be happy to help you sort it out. We won’t let a printing snafu get in the way of your crafting! I did subscribe and I got as far as the password. I did not make up a password, so I did not know what to enter. Let me know if you run into any hiccups. Happy shelf building! Great, Sharrel! I add patterns and templates often and now you’ll have access to all of them 🙂 I hope you enjoy the shelves! I cannot print the templates for these either. It says that I need to download the PDF app and I do this and nothing, the templates aren’t there. 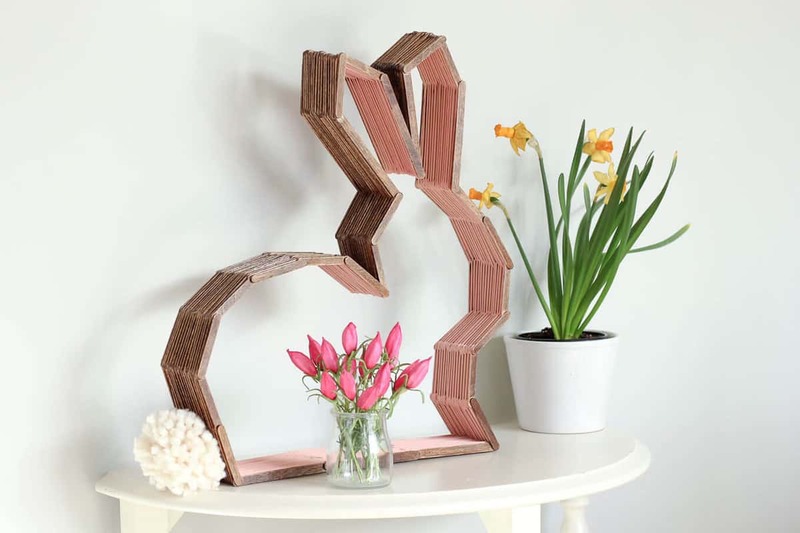 I want to make the bunny and the shelves. Once you’re in the Vault, you should be able to just click the “template” or “pattern” link below the photo of the project and the pdf will open in a new window for you to print or download it. Hi Jess, I’m Ina from Germany and I Need your help, please. Mann thanks in advance. I trief to get the template, but I’not receiving the Email. I would love to work it out. Kind regards from Berlin. Hello from CO, USA! You should have received an email from me right after you subscribed. Perhaps check your spam or junk folders. If you still don’t see it, you can just enter your email address again and you won’t receive duplicate emails from me in the future. How stable are these off the wall? And what kind of glue did you use, please. My mind is in a frenzy with what I can do with these as a display for my talisman dolls. I used tacky glue for my shelves. I’d love to see a photo if you decide to make these! Happy crafting! Will do! I was thinking if they’re flimsy, to add a back. I want them to sit on a table or shelf in addition to hanging. I’m sorry you’re having trouble. Once you enter your name and email in any of the subscription boxes on the site, you should get a confirmation email (check your spam or promotions folders). Just click the link in that email to confirm that you did indeed intend to subscribe. You’ll then immediately receive an email with the password to access The Vault where the template (and lots of other freebies) is located. Any questions, please just let me know. I’m here to help! Thanks for reading Make & Do Crew! I would put the big one in the middle and span the little ones out from it, making the sides only like 2 inches apart! These are amazing! Thanks for the tutorial! That could be really cool! I love that you can change the look of them based on how closely you hang them to each other. I’d really love to make an entire wall of them. Hope you enjoy yours! This is super adorable! 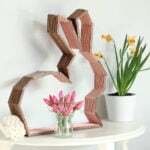 I’ve been super obsessed with gold and copper paint lately and I think this project would look great with those colors! Yes! Me too, Nikole! I actually just painted some shelf stands copper and I love them. Send me a pic (or tag me on Instagram @makeanddocrew). I’d love to see where you take them. Question: Would Gorilla Wood Glue work for these? Totally! I think it would work great. I’ve actually made this with regular old school glue too and it worked fine. I think that because you’re gluing so many little surfaces, it’s actually really pretty strong by the end. Let me know if you have any other questions! Thanks so much for reading Make and Do Crew! I’ll walk you through the steps to get your templates. 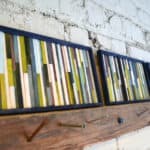 How did you hang these? Is there a way to hang them without putting holes in my wall? Is there a way to hang these without putting holes in the wall? That’s a great question. I think in order to avoid holes in the wall, you might need some of those plastic hooks that attach to the wall with a bit of gummy, sticky stuff. That’s the only option I can think of. 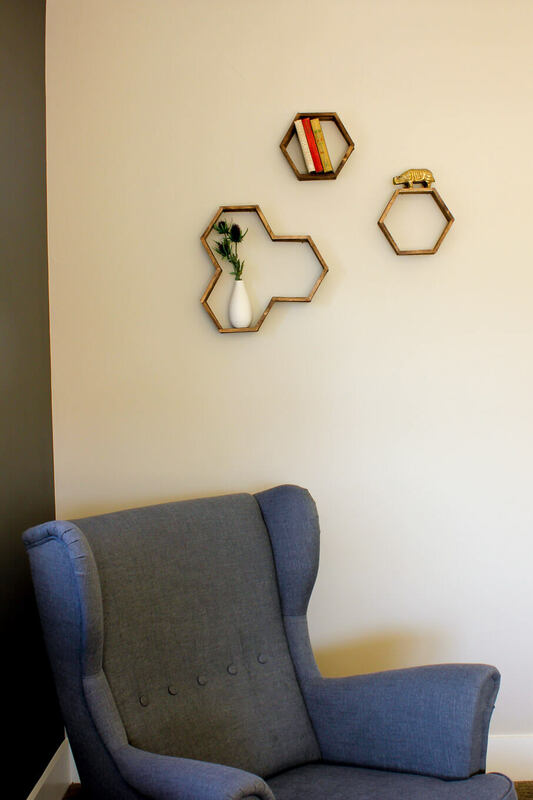 The shelves are really pretty light though, so you might be able to get them to hang on a couple of thumbtacks if you’re willing to put itsy bitsy holes in your wall. Let me know if you find a good solution. I’d love to find a way around beating up my walls every time I come up with a new art project. How amazing and unique is this!! 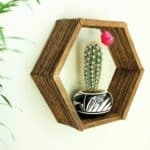 This is definitely one of the best DIYs for home decor I have seen yet. And the way it finally turns out to be is also so pretty. Totally sharing this one on all our social media platforms. Great job. Gosh, what a nice compliment, Dipti. These shelves really make me happy every time I see them hanging on the wall, so I’m so glad you can appreciate them too. And thank you so much for sharing the tutorial. I appreciate YOU for that! About how long did it take for you to make the shelf, including glue dry time? 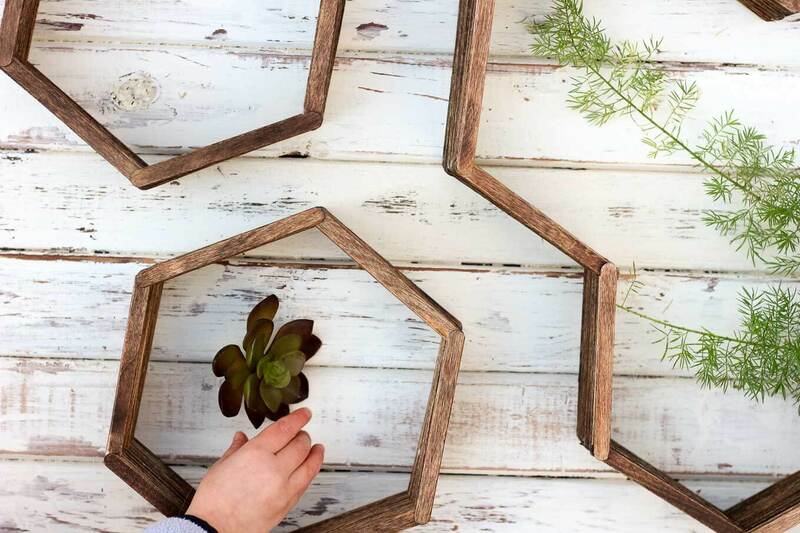 I want to do this as a project for my church’s moms group but am worried the glue may take too long to dry and not leave enough time for staining. That sounds so fun! Crafting with other women is so satisfying and rewarding, isn’t it? I would say you can build the shelf in less than an hour. I think the drying time will depend on what glue you use, but I’ve actually used regular old Elmer’s school glue before and it dried quite quickly. (Like the bottom of the shelf was totally dry by the time I was building the top.) Perhaps you want to try a sample one with the glue you plan to use and get a good estimate of total time required, but I’d guess the entire thing could be accomplished in around 1.5 hours. I’d love to see a photo if you end up doing this project. Happy crafting! I’m trying to tape together the three hexagons, but they don’t line up exactly. Parts of them line up, but then the other lines don’t match. When I printed them, I unchecked “fit to page”. Do you think that may have made a difference? Hey there, Apple. I’m sorry you’re having trouble taping them together. That sounds kinda annoying 🙂 I’ve taken a stab at making the template a little clearer and I’m hoping you can be my tester. I just emailed it to you. Would you mind letting me know if it’s easier to figure out now? And, I would def keep “fit to page” unchecked since you want the template to print full size so that it’s the exact size as the popsicle sticks. It’ll just be easier that way. 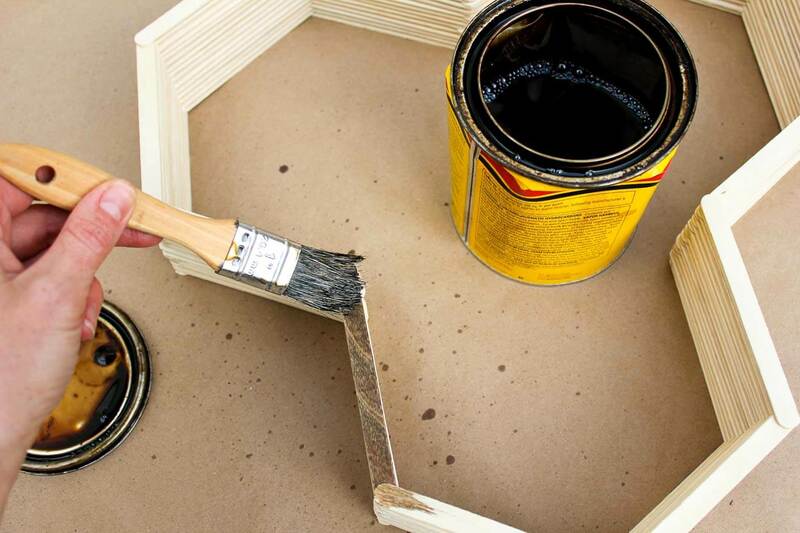 About how long does it take for the glue to dry before you can start staining? It depends on what type of glue you use. I’ve noticed that tacky glue dries a little quicker than something like regular Elmer’s glue. I’d say that you could safely stain your hex shelf about 45 minutes after you finish the last row. You’ll notice as you’re building it that the bottom layers will be basically dry before you reach the top. Please let me know if you have any other questions! Happy hexagon-ing! 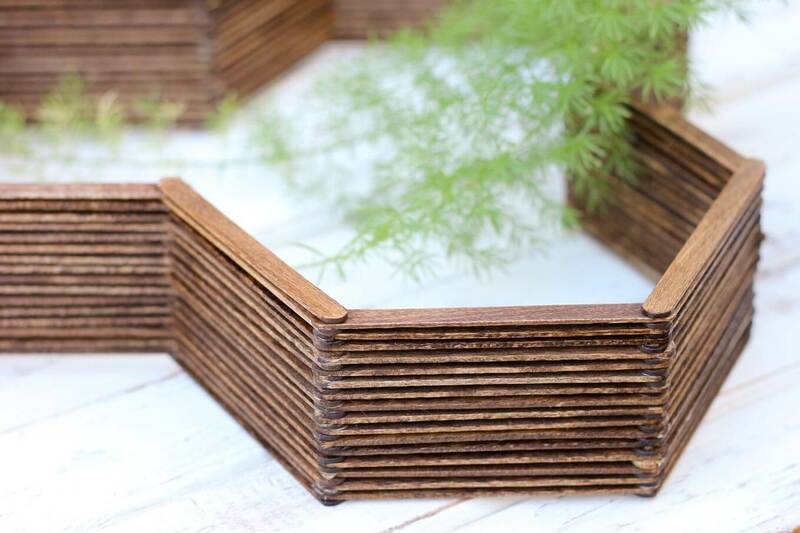 Can you stain the popsicle sticks first and then glue them? I’m afraid the stainer will get drippy and/or seems difficult to stain in between each one. I think i would like to stain them first but will the glue stick? Thank you for this 🙂 exactly what I was looking for! Awesome, Brenda. I hope you enjoy making them! How do I download the template. I’ve tried using the link sent to my email but it keeps directing me to another page. I love this design, would love to make it. The link in your email sends you to the Subscriber’s Vault. Just enter the password that I sent you in that same email and you’ll get access to the Vault where the template is located. (There’s a bunch of other exclusive patterns and templates in there as well.) Let me know if you have any trouble! The projects look nice, but this website is really inconsistent. I can’t not even get access to the templates after multiple times of trying. I’m sorry to hear that. If you’d like to tell me where you’re running into trouble, I’m happy to troubleshoot with you. Please email me at jess (at) makeanddocrew (dot) com. Hi! I loved your honeycomb and have already ordered popsicle sticks! However, I’ve printed the template and it looks a bit small. The hexagon template shows a hexagon of approximately 20 cm. Is this right? Hmm. Perhaps that’s about right. Each of the sides are about 4.5″ long (around 11 cm) so I guess the shelf might be about 20 cm tall? Does that makes sense? I would like the template ! If you subscribe in the box above, you’ll receive an email with download instructions! I love that you offer the templates, but what size where your sticks? I can’t seem to line up any of them with my sticks that are 4 1/2in x 3/8 in. 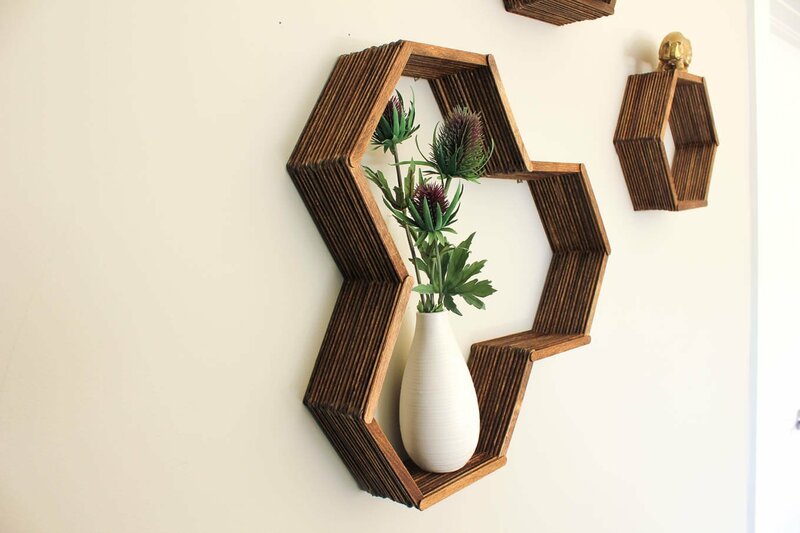 I’m making the single & honeycomb shelve. That’s the size I used too, so you’re on the right track! 🙂 The outer edge of each stick should basically line up with the border of the template. i have made this but i am not able to hang it on my wall how i will hang this on wall can you please suggest me. 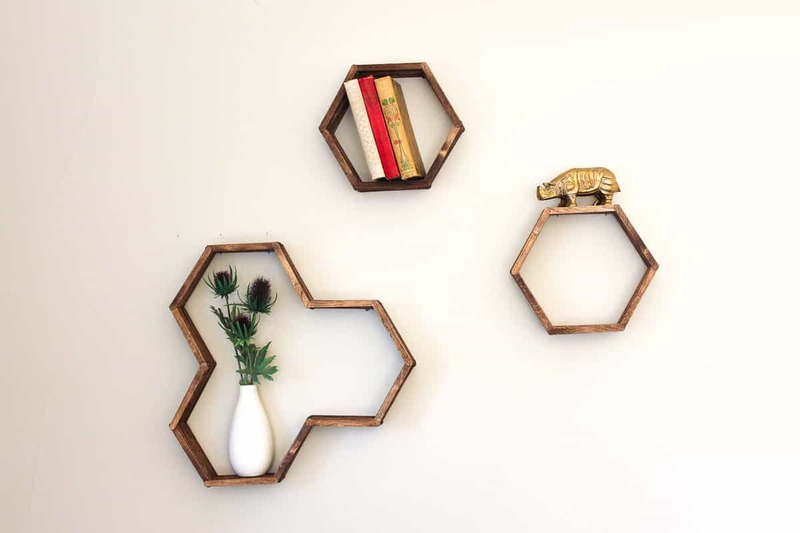 Really into octagonal right now and trying to visualize a gallery wall that includes pics, art, quotes…and now your cool little popsicle shelves. Any advise or inspiration would be great. Thanks for this great idea! Bonjour je souhaiterais recevoir le gabarit de l’étagère en nid d’abeille SVP! Thanks for sharing this awesome project! I’d love to find out how thick the posicle sticks are that you used for both this project and the hexagon posicle project? And are the lengths of the popsicle sticks a standard size?